This vintage appearing image was taken with my iPhone. We were at Spyglass Hills in Monterey California, part of the Pebble Beach golf resort. I then did a 1 click edit with the app OldPhotoPro, by Deion Mobile. It’s a free app, and is also available for the Android. You can read a brief review from Macworld on this cool free app. Our phones contain amazing cameras, and the best part is they are almost always with us. While I still take loads of pictures with big DSLR camera, I love capturing images with my cell phone, and they are certainly easier to share. Karl Danneberger, Ph.D., Professor, Department of Horticulture and Crop Science, The Ohio State University has done it again. This amazing man has produced 5 separate and amazing iBooks (2 in another language). Having just completed my 1st iBook, I know exactly how much work is involved. It is no simple task. 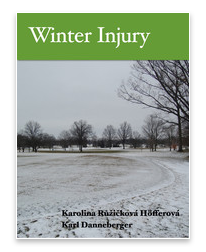 His latest work is on Winter Injury, and it is co-authored with Karolina Ruzickova Hofferova who graduated from the Czech University of Life Sciences in Horticulture. Because I’m such a visual person, it’s his images and videos that blow me away. I look at some of the picture, like the purple footprints on a putting green, and I understand the damage he’s trying to teach us about. To top it all off, this book is free. If you’re a golf geek like me, you can’t wait to download it so you can show all your friends over dinner what snow molds really look like. When I found out he had another book out, it was like Christmas morning, and I haven’t even told James our Superintendent yet. New iBook is in iTunes! Our new iBook More Heaven than Hell is in the iTunes store! Yes, I resisted the temptation to type that in all caps, and I only used one exclamation point. But if you could see me right now, I’m practically jumping up and down with excitement! 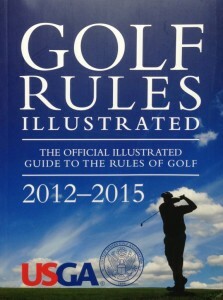 One of the last chapters called Golf Course Art contains my favorite photographs rendered as paintings or as painterly images. You can download a sample chapter, or buy the complete book for $4.99. It took me 2.5 minutes to download, because it’s a big book, 188 pages, although for some reason the iTunes store says it is 37 pages. It also includes video, which really adds to the size. I hope you love it, and please, let us know what you think. I have a love hate relationship with the 8th hole. It is a such a challenging hole, the hardest one for me personally. But as always with golf, it is soooo rewarding when you score well on this hole. The green is deep, with bunkers left and a fescue-covered hillock to the right. It’s modeled after Alister Mackenzie’s favorite green at Crystal Downs in Michigan. “This par four will challenge you the most on the front side. From the red or black tees it’s almost impossible to carry the first bunker on the right side of the fairway. From the blue tees, try getting past the bunker on the right, then you can use a more lofted club into the green. The green is deep, with bunkers left and a fescue-covered hillock to the right. It’s modeled after Alister Mackenzie’s favorite green at Crystal Downs in Michigan. Did you know that Purgatory Golf Club was originally named Sassafras Golf Club? This was my first golf course business card. Lovely, but it doesn’t scream challenging. We named it Sassafras because the charming woman we met at the land auction told us about all the beautiful sassafras trees that had been on the property. 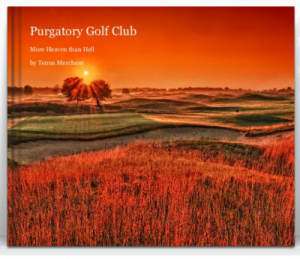 Luckily we did our market research, and found out the name didn’t fly, and went with our now much loved Purgatory Golf Club, and below is my business card today. Today’s post is a flyover the the 7th hole. You’ll find the seventh hole to be our most challenging par three. The water comes into play on the left, and the green is bunkered on the right. The ridge in the green naturally feeds balls into the lake. Have you ever put a ball in this lake? by Mike Merchent, Director of Golf, he will select one volunteer, evaluate the swing impromptu, meaning on the spot, and make recommendations if appropriate to improve. Head Professional, Jon Stutz, Jon will focus on rules that have been in the news when appropriate, otherwise he will take suggestions or use his best judgement as to what would be the most worth while. James Brown will provide education on turf management, and where appropriate, reference the iBook Golf Course Management by Karl Danneberger, Ph.D.
General Manager, Tenna Merchent will teach technology, iPhone photography, Pinterest, Blogging, Instagram, Twitter, Google+, Facebook, Linkedin, and writing. Tom Smith will provide culinary education, from food safety to wine appreciation. Meeting time will be at 11:30 unless noted otherwise. We look forward to this weekly training geared to the continued development our staff, while keeping in mind what may interest our guests. Responsibility for topics and/or outside speakers will rotate through each leadership member. The training sessions will be limited to one hour. We are able to accommodate up to 20 outside guests. Sign up is by phone to the proshop at 317-776-4653 ext 1. Currently the session will not be video taped, and we will not have remote participation. At a later time we may offer these options.